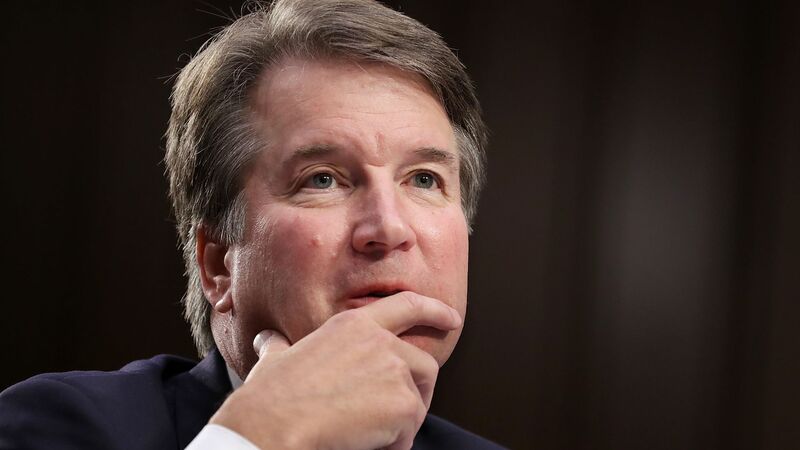 In the last week, support for Brett Kavanaugh by voters in a selection of key battleground districts has dropped by three percentage points from 46% to 43%, according to a New York Times polling analysis. Why it matters: His support is still higher than the GOP on the generic congressional ballot (40.9%), President Trump's national approval rating (41%), and the average favorable rating of Republican congressional candidates running in the 10 districts polled by the NYT. The polls the Times examined came after Christine Blasey Ford came forward with allegations of sexual assault against Kavanaugh. The districts are in Iowa, Pennsylvania, New Jersey, Texas, California, Nebraska, Washington and Kansas. They "are whiter, more affluent and more Republican than the country as a whole, but they supported Hillary Clinton by a narrow margin in 2016," per NYT. One more thing: There's a 23-point gender gap among those who support him, with only 38% of women backing him compared to 51% of men.